This is a collection of some of the most amazing insect and spider battles caught on tape. These are all predators - in almost all cases here, they are predator vs. predator... but in some it's a matter of small vs. large. These arthropods have been on the planet longer than we have, and they have developed an amazing arsenal of protective and predatory capabilities, all for survival of the fittest predatory insects. What happens when you match up the most dangerous insects and spiders? Usually when we think of bugs, we think of things to step on, squash or poison... but maybe these bug battles between insects and arachnids will elicit some respect. Matabele ants are also known as Driver ants, or Siafu. These guys are known for their marching columns of death that can contain up to 50 million ants. They devour anything in their path that can not move fast enough to get out of the way. They are also known as army ants for a reason. 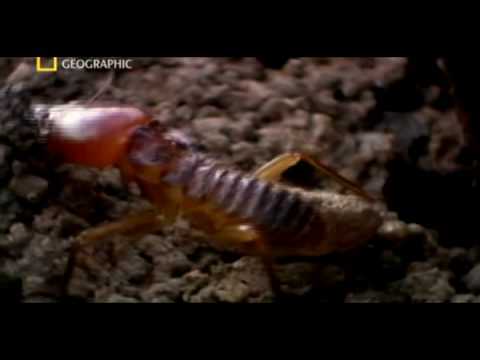 Watch their tactics as they discover a large termite mound and plan their attack. There are few insect predators as awesome as the Praying Mantis. They are avid hunters and will literally kill and eat anything they can catch. Anything. Try not to be annoyed by the stoned dudes who made this video... they caught some really great footage, especially near the end. My favorite thing about this video is that those guys thought that the Tarantula Hawk (a very aggressive species of wasp) was a poor widdle hornet. This is a mean, angry ant. All the time, angry. And mean. This thing is well known for its aggression, and for the incomparable pain of its sting. As with any powerful venomous creature, an allergic reaction can mean death for humans. And in the case of other animals? 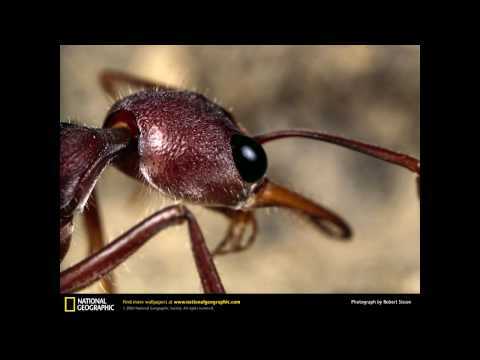 The Bulldog ant will get all up in your grille for no reason at all. He's that insecure drunk guy who spends a ton of time at the gym and thinks you're lookin' at him funny. If it moves, the Bulldog will attack it.